"From New York Times bestselling author Shirley Jump comes a heartwarming tale about friendship, family, and the unbreakable bond between sisters. As the O'Bannon women rally around her, Nora begins to see that failure is nothing to fear. It's like they say in the bakery: if you want to make something good, you can't be afraid to get messy. 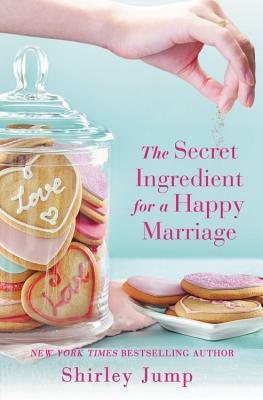 When her husband returns, asking Nora to give their family a second chance, Nora must decide if their relationship can be saved-or if it's time to throw out the old recipe and start from scratch." A common theme in books today is addiction. Normally, the first thing you think of when you hear the word addiction will probably be drugs. I loved how this book deals with the addiction of gambling, and how it can tear a family apart. It just brought something different to the story. This did start off a little slow for me, as it was pretty repetitive in what was happening. We see the struggles of Nora and her family. I would have liked the story to move on a little instead of focusing so much on explaining how broke the family was or them losing their home. It was told over and over again as they were dealing with different stressors. Once it moved past this though, I flew through this and started to enjoy it much more. I also loved how relatable this was. The characters were everyday people. This is a story based mostly around Nora. She is supposed to be the strong one in her family, and is dealing with how to maintain this façade while she is falling apart on the inside. You also get some information around her sisters and her mother as well. Overall, this was cute and was just an ok read for me.